Get your favorite room to the perfect temperature level every time. 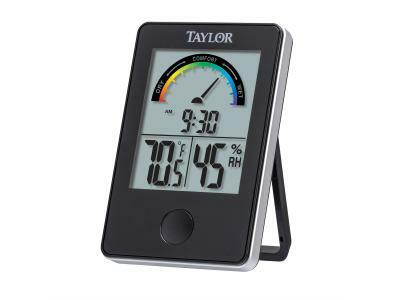 The Digital Indoor Comfort Level Station from Taylor monitors temperature and humidity. It's easy to keep your favorite spaces the perfect temperature every time.